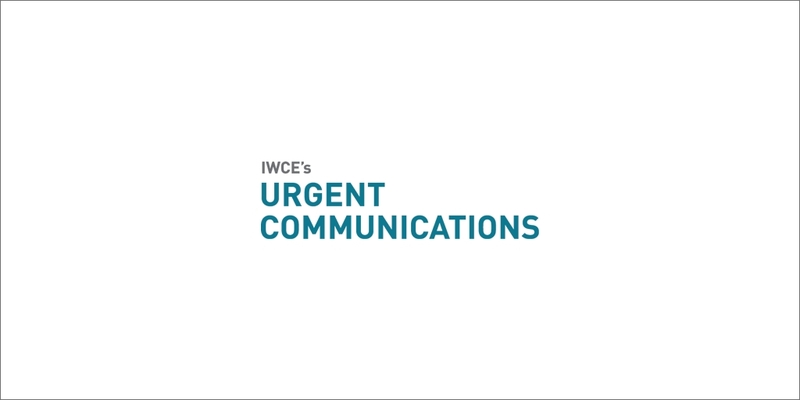 With FCC officials indicating that they would establish rules regarding location accuracy for indoor 911 calls from cell phones, the four nationwide wireless carriers announce a voluntary agreement with two key public-safety organizations on the topic, although other first-responder groups expressed objections to the deal. With FCC officials indicating that they would establish rules regarding location accuracy for indoor 911 calls from cell phones, the four nationwide wireless carriers on Friday announced a voluntary agreement with two key public-safety organizations on the topic, although other first-responder groups expressed objections to the deal. In the agreement signed with the National Emergency Number Association (NENA) and the Association of Public-Safety Communications Officials (APCO), the four nationwide U.S. cellular carriers—AT&T, Sprint, T-Mobile and Verizon—promise to provide public safety with a “dispatchable location” for many 911 calls and meet benchmarks that begin within two years. “The proposed solution harnesses the availability of Wi-Fi® and Bluetooth® technologies that are already deployed and expected to expand significantly in the near term,” according to a joint press release issued Friday afternoon from the parties to the agreement. Features of the agreement include timelines to verify technologies and vendor performance in a testbed environment; to demonstrate, implement and develop standards for database and handset capabilities; and to improve existing location-based technologies both indoors and outdoors. 80% of all VoLTE wireless 9-1-1 calls within six years. APCO Executive Director Derek Poarch echoed this sentiment. “APCO is very appreciative of the professionalism and dedication of its partners in achieving a consensus solution that we can all be proud of and that, most importantly, will provide meaningful location information to our nation’s dedicated and hardworking public safety communications professionals and first responders as they daily serve the emergency needs of their citizens,” Poarch said in a prepared statement. Also expressing support for the deal was Meredith Attwell Baker, president and CEO of CTIA, the trade association for major wireless carriers. Under current FCC rules, carriers are required to provide the longitude and latitude—or XY—coordinates for outdoor calls from wireless phones, typically using location information based on GPS or network-triangulation technologies. However, no such location-accuracy requirements exist for 911 calls made from cell phones being used inside of a building or other structure, where GPS and triangulation approaches are hindered by the fact that the wireless device’s radio signal is greatly diminished or impossible to detect outdoors. In February, the FCC initiated a proceeding to examine potential rules that would require carriers to provide XY coordinates and a vertical—or Z—coordinate for indoor 911 calls from cell phones. Representatives for cellular carriers expressed concerns that the FCC’s proposal may not be technically viable within the stated timelines and noted that public-safety officials had expressed a desire for a dispatchable location rather than XYZ coordinates. Indeed, perhaps the most important definition in the agreement is for “dispatchable location,” which is deemed to be “the civic address of the calling party plus additional information such as floor, suite, apartment or similar information that may be needed to adequately identify the location of the calling party,” according to the joint press release. If NENA and APCO start taking advice from IACP and IAFC, then IAPC and and IAFC should start taking advice from APCO and NENA about training and other technical police and fire issues. Or just let the comms professionals do THEIR jobs and let police & fire worry about stuff they know something about. Great news, if it keeps us out of court! This has been too long in coming. I just hope the FCC steps in to fill in the details.